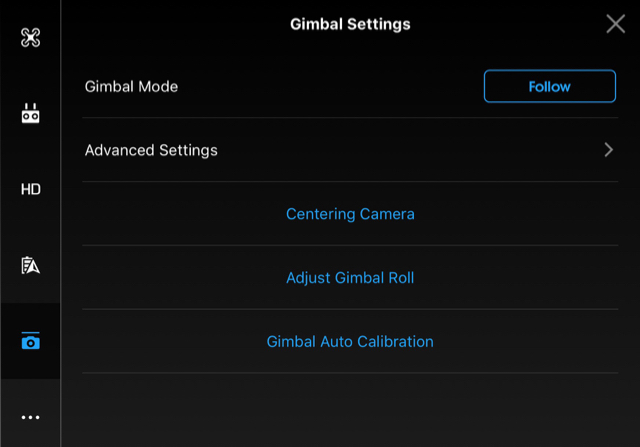 Is there Gimbal Horizontal tune like in DJI Go "C2 + Right roll" to fine tune gimbal to horizon? Is this not a RC setting independent of any app? No what i know. I doesen't work with Litchi what i tryed. Alok, can I adjust camera horizontal in flight.P3P? Never tried to set it in flight but I know it definitely adds a fixed roll to Gimbal on ground.